Mike O’Connell is the Wine & Beverage Manager at Upper Falls Liquors, but that’s not why you need to know him. He is also passionate home cook and loves cooking for family and friends and sharing a burger with one-year-old son, Welles.. Mike loves cooking so much that he entered into the Boston Battle of the Burger Home Griller competition in both 2013 and 2014. He won both times. Where do you live: Needham, MA. Favorite style of Burger: I’m open to anything as long as it makes sense. There has to be balance. Smart, quality ingredients that enhance the burger itself, not overshadow it. Favorite Childhood Burger: Johnny Rockets’ Double Cheeseburger. There was one in the mall near my hometown and I would go with my dad and order a vanilla frappe and put a million nickels into the tiny juke box. We’d crush double cheeseburgers while listening to the Beach Boys. I remember being fascinated at how much flavor the burgers had. Burger that haunts your dreams at night: The burger I grew up with. My mother was anti pink. She would instill the fear of God in us and tell us that we would die if we didn’t order our burgers ‘well-done’. There were plenty of dry, hockey puck patties in my childhood. What is the one Burger you’ve always wanted to try but still have not: The DB Burger. Technically, I have had it but it was after a long night in Vegas and a four-hour blackjack bender. I don’t remember much about it other than the grease stains I woke up to the next morning. Daniel Boulud stuffs the patty with braised beef short ribs, black truffle and foie gras. It cost me a purple chip. The secret to making a great Burger: Keep it simple. Season your meat and don’t over pack the patty. Use fresh ingredients that will compliment the burger. Bun to burger ratio is key. There is no such thing a juicy bite of bread. Under no circumstances whatsoever, what should NEVER be put on a Burger: Ketchup! Unless you’re six years old. Grow up. If you could have a Burger with anyone alive, or dead, fictional or real, who would it be and where would you take them: I’d take Wimpy from the Popeye cartoon to a diner and crush some burgers with him. Guy was an absolute savage. He’d put back 8-10 burgers an episode. I’d be sure to stick him with the bill too. Are you a home grill master? Do your friends always tell you that you make the very best Burger? When you step in front of the barbecue to make Hamburgers is it like watching a master magician at work? Then you should enter the Boston Battle of the Burger Home Griller Competition. If you’re selected out of all the entrants, you’ll get to grill up your recipe on site at the event itself on August 12th at Cruiseport Boston. Your Burger will be judged by a panel of experts including our very own Jamie Schweid. We’ll supply you with all the ground beef you need to make the very best Burger but it’s your skills that will be put to the test. Enter your original recipe from May 18-July 6. All finalists will be notified on July 7. 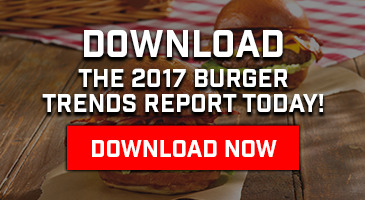 Click here to submit your Burger recipe now. Not a home griller but live around Boston and love Burgers? Get your ticket now and join us for the Boston Battle of the Burger!